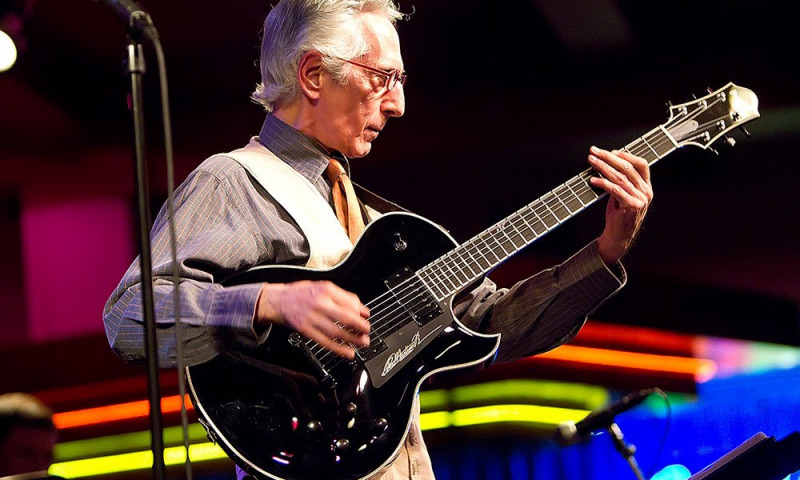 Legendary guitarist Pat Martino is devoted to living in the Here and Now! -coincidentally the title of his autobiography (DaCapo, 2011). 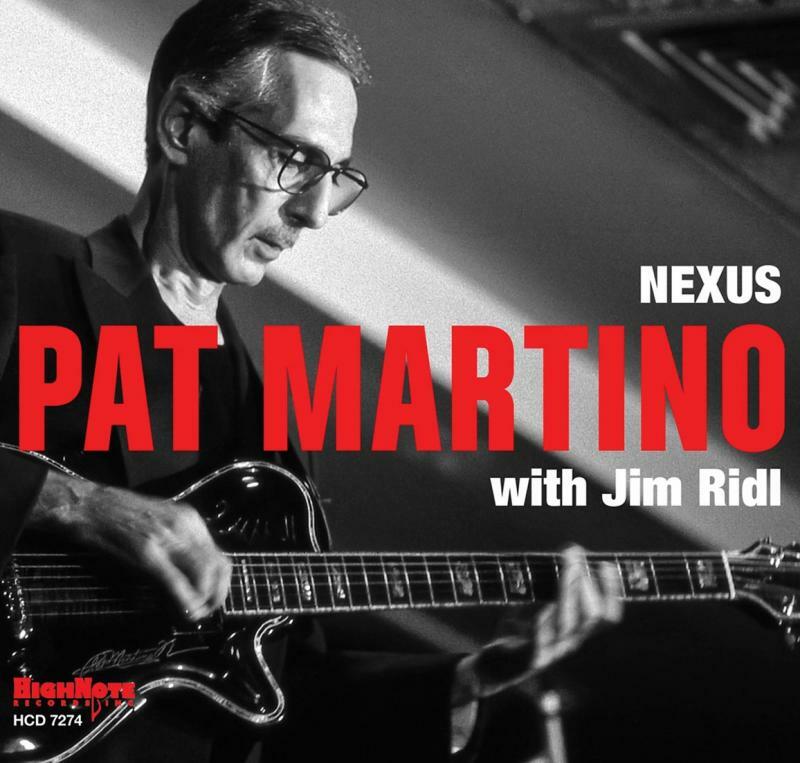 Taking each moment as it is and adding full measures of love and spirituality, Martino is now well into his sixth decade as one of the most revered and sought after jazz musicians on the planet. 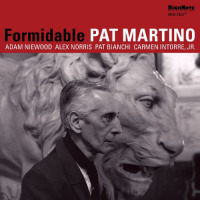 The cover photo of his new CD Formidable (HighNote, 2017) shows Martino posing next to the statue of a lion, a symbol of both his awesome power on the guitar and his inspiring recovery from brain surgery and memory loss in the 1980s. 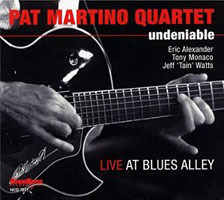 The last time All About Jazz interviewed Martino was in 2008, following the release of Ian Knox's indie film Martino Unstrung (Sixteen Films) in which he appears with fellow musicians and neuropsychologist Paul Broks discussing his life, music, emergency brain surgery to remove an arteriovenous malformation (AVM), and remarkable comeback from retrograde amnesia. We wanted to catch up with him to learn what has been taking place in the last decade, as well as to explore in depth his rich fund of ideas about life and music, including the theory of guitar he teaches in his master classes and videos. Over the years, Martino has developed a fascinating perspective on the relationship between music, mathematics (geometry and algebra), and spirituality. His memory loss from the brain surgery made him acutely aware of the importance of living in the moment. He took something negative (memory loss) and turned it into something positive (living fully with love in the now.) We visited Martino at his long-time home in South Philadelphia with the excitement and joy of meeting the master one more time. 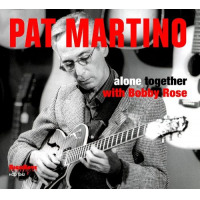 All About Jazz: The last interview we did was in 2008 when the film Martino Unstrung came out. Could you fill us in about what you've been up to since then? AAJ: I see there that you've been playing a lot of gigs around the world. Has it been mostly with the trio with organist Pat Bianchi and drummer Carmen Intorre and the quintet with trumpeter Alex Norris and saxophonist Adam Niewood added? PM: Yes, both. The trio has been to Europe, but the quintet hasn't as of yet. There's more work coming up following the release of the quintet's new CD, Formidable. We're getting a lot of requests for the quintet to perform. AAJ: From seeing and hearing the quintet several times at Chris' Jazz Café here in Philadelphia, I get a feeling that you really love working with them. I sense the pleasure you feel when you're on stage with them. Am I right? PM: Yes, I really enjoy what we're doing together. It's an excellent band, so mature. Their accuracy and commitment are very rewarding for me. AAJ: Would you say that you've been trying to find a band like this for a long time? PM: To be honest with you, I don't search for bands. I'm really focused on the moment, and typically I find that what happens spontaneously turns out to be just what I'm looking for. That's how I live my life generally. AAJ: How did you meet these guys and decide to have them work with you? PM: My manager, Joe Donofrio, put the word out that we were looking for horn players, and then Pat Bianchi brought them in. Pat has contact with quite a number of players. AAJ: A propos of the instrumentation of both the trio and quintet, to my knowledge you're one of few guitarists who often prefers to work with an organ rather than piano and bass. Of course, this goes back to your early years with organists in Willard Jackson's and other groups. But you've hooked up with a number of organ players consistently over the years, so what draws you back to that instrument? PM: Besides the practicality in terms of touring and economics, I love being backed chordally and comped harmonically when I'm soloing. I love the harmonic "wall" of ideas that an organist like Pat Bianchi can give me. So a trio with the Hammond B-3 organ and drums does it all for me. AAJ: You like that wall of sound behind you. PM: Yes, I like the harmony. But in some ways, it presents a dilemma, because in jazz, the culture that brought the organ into vogue no longer exists. It's not like it was in the 1960s when you had all of the organists around and a working environment in which they thrived. Like when Jimmy Smith was around, Jack McDuff, Don Patterson, Shirley Scott, Trudy Pitts. Those were the days when the combination of organ and guitar was hot, and many venues were available at which to perform. AAJ: And you hung out with a particular circle of organ players in Harlem and elsewhere. PM: I can remember two week engagements seven nights a week, six to seven sets a night with those guys!